Bertha Angelo has been designing for eight years. Relocating to the United States from St.Lucia with her family at the age of ten was a major culture shock for her family. So fashion played a part in her life because of the constant alterations she had to make to her clothing to alleviate the taunts from American kids because she did not wear name brand clothing. After working in the medical field for over fifteen years, she finally decided to pursue a career in Fashion. Inspired by fashion designers like Alexander McQueen, Betsy Johnson and Karl Lagerfeld. 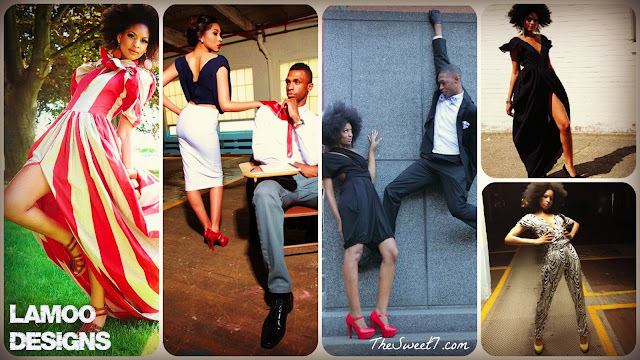 Eventually forced to quit Fashion School after two semesters to take care of her family and focus on self teaching. 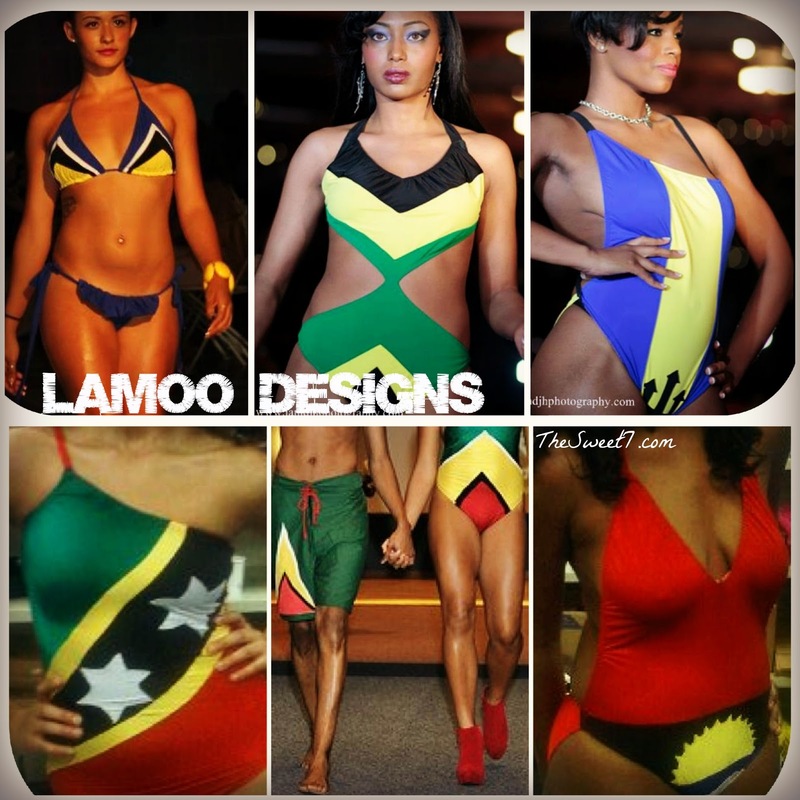 Bertha named her label LA'MOO DESIGNS based on St.Lucian history. St.Lucia was fought over 14 times by the first British and French colonizers. The official language of the island is English, however Saint Lucians also speak French creole referred to as patois. La'Moo (french: l'amour) means love or the act of making love. So she expressed her love of fashion and the love of country & culture, naming her label La'Moo. Bertha has been making a name for herself in the Connecticut area. Most of her fabrics come from Affordable Fabrics, a fabric store in Connecticut. She sometimes heads to New York City, to the Garment District for the deals. Bertha enjoys working with linen and any stretchy fabrics since she feels they tend to compliment a woman's curves. Hence the Caribbean flag swimwear which will be available this April and costs USD $90. She has enjoyed working with local model Malia from the time she started because she makes her designs look perfect. "My advice to any aspiring fashion designer is to figure out what kind of designer you want to be. Then find out which designers inspire you and get to know their work. Fashion school is good but no school can teach true and natural talent. What you can learn from a school is the business and how to perfect your craft. If you don't know how to sew take a sewing class and to help you interpret your clothing, a sketching class is best. Most established designers never went to school they were self taught or their grandmother or mom taught them."